Just after dinner our four-year-old daughter walked into the living room where I was sitting, talking with my sister-in-law. On Friday nights we eat at my mother’s house with as many aunts, uncles, and cousins who are around. It’s a wonderful weekly tradition and a loud one. There’s a lot going on. Our kids are the youngest of the lot so they do a bit of showing out, as it were. They get silly and wild, they demand attention for their stories and dances, and they run around with heightened energy and heightened emotions. It’s nighttime too. Potential for eight, six, four, and three-year-old breakdowns is relatively high. We manage, and I have to admit that they’re pretty cute even in heightened states, so we all enjoy the show to some extend. We feel fortunate, even through intermittent frustration. 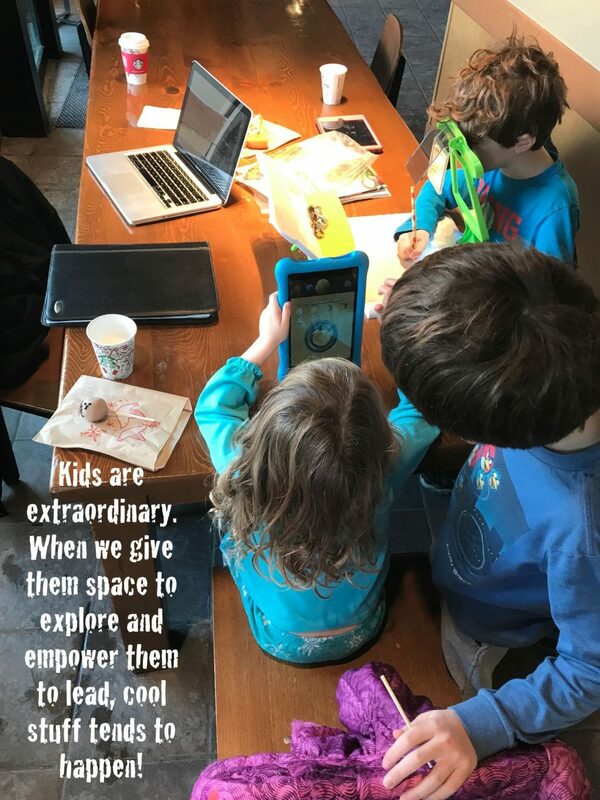 A highlight for me is when one of the kids needs a break, a problem-solving partner, or a consolatory hug, and they come running to me for it. It’s good to be the go-to break spot, problem solving hugger. Did I mention she’s four? This time, she ambled into the room as usual, shoulders slumped, arms dangling, lip curled and pouty, eyes upturned and half exposed just under her signature “one of my brothers wronged me” partly closed lids, and brow furrowed. I was ready for a full, fall into me with all thirty pounds hug and some extended comforting. As she walked directly past me into the arms of her aunt, shifting her pout to a scowl for just a moment, she lifted her eyes and turned her head just enough to growl, “Something not of your business!” Harrumph. Ouch, something not of my business. 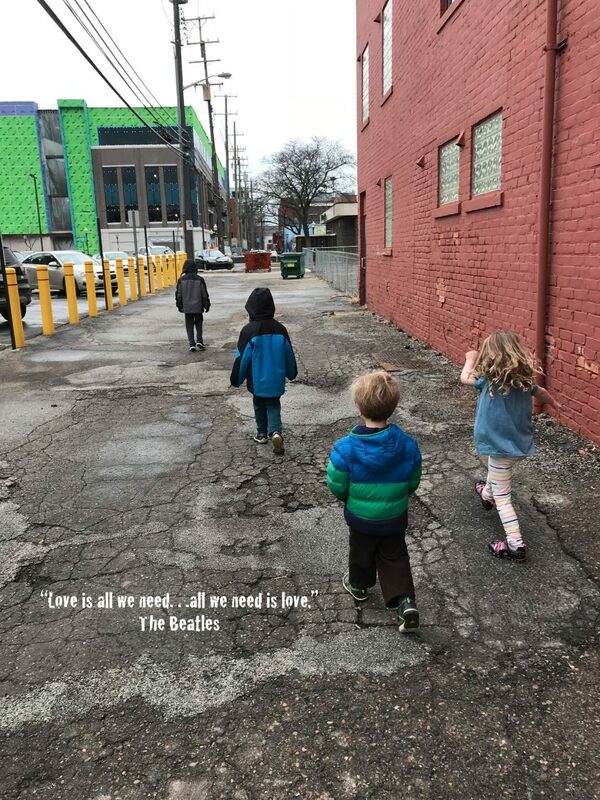 Ladies and gentlemen, guess what, there are things in the minds, the hearts, and the lives of our children that are not of our business, even in the minds, the hearts, and the lives of our four-year-old daughters. Also, I suspect the shift over time won’t be that more of it is some of my business. The kid is teaching me that in order to be trusted in the ways I hope to be as she navigates the trials and tribulations of growing up (which evidently happens really quickly), I’ve got to respect and even appreciate that she’s an individual, categorically separate from me, with her own hopes, dreams, and feelings that I might actually not understand, who will sometimes need me to listen and sometimes need me to back off. I’m genuinely working to be able to do both with grace. I sure do love her. My wife Lorelei and I were watching and working. She told me that our local hospital had organized an event by which people got together on ground level outside of the pediatric wing every night in December to show support for the kids being treated in the rooms above. She got teary as she told me. It moved her. We have four kids. I would guess she internalized what it might feel like for the families of those kids; the moms in particular. I would guess that her heart went out for them. An opportunity. It was freezing cold last night. Regardless, Lorelei suggested we go. She decided that the Berg crew would be best served standing in that freezing cold, ushering in a new year with lights shining into the windows of kids we didn’t know, kids who needed strangers to be standing in the freezing cold, shining lights into their window. To be clear, I understand that these kids needed much more than our shining lights. However, to be clear again, the shining light of a stranger who cares is a powerful thing. Lorelei saw this program as an opportunity to take that time in modeling this type of giving to our kids. 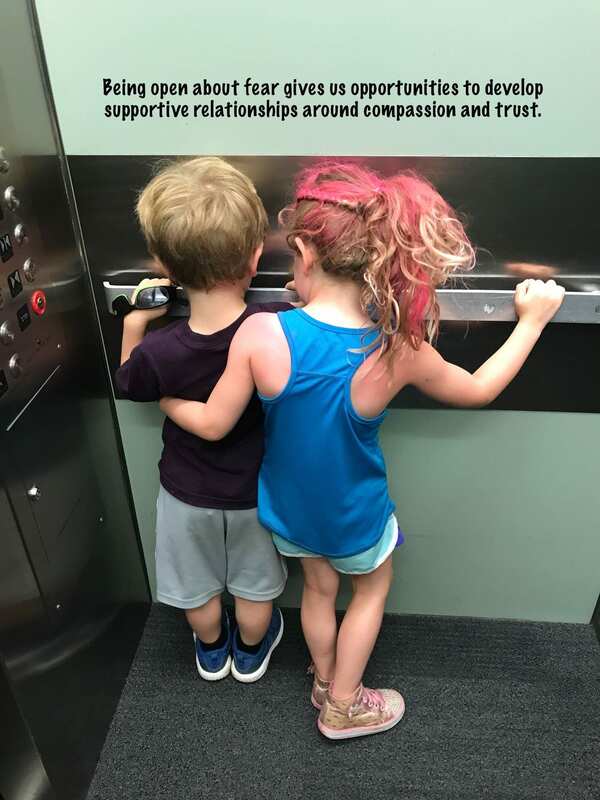 She understood that through this program we could drive an ongoing expectation of compassionate living, contributing, and the sharing kindness with strangers. She knew that our kids, as young as they are, would benefit from the interactions they would have with a community of people gathered to shine their lights on others in need. She knew they would take it in and understand the healing power that exists within them, that they would build the muscle that makes strong people stronger in their resolve to share kindness and compassion, and she knew that they would take another step along the learning pathway that demonstrates a sometimes shrouded truth about tangible energy that flows between people who open their hearts and their minds to that energy, and who fall into it as it flows freely between and among them. All we had to do was show up and shine. A challenge. Not too long after we got going the cold penetrated our gear and seeped into our bones. Our four-year-old daughter doesn’t have much meat on those bones. She was shivering something good. Her teeth were chattering. She expressed concern about her frozen thumbs. Her face told the story of genuine discomfort if not pain. I was worried that it was too much for her, even a few minutes in. She got the idea. She was enmeshed with the crowd of light shiners. She saw the kids shining their flashlights in response from the hospital window above. She made the connection and would have this image to reflect on over time. I scooped her up and told Lorelei I was taking her to the car to warm up. She was staying. I smiled and stepped back. She turned her shining light again on the kids in the hospital windows. A message. It wasn’t much for me to stand out in the cold for a few minutes shining my light on some kids who needed to know they weren’t alone. I’m an adult. The cold was cold but I’ve stood out in worse. 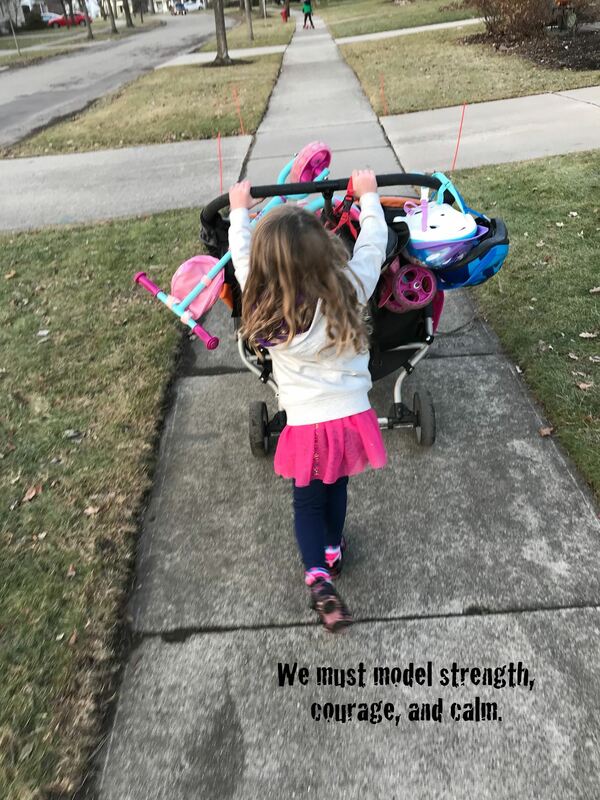 For the kids, however…for our four-year-old daughter and her three brothers, for their chattering teeth and frozen thumbs, it was a least a push; a good push…a wonderful push. It reminded me that sometime we do have to push ourselves even just to show up and shine. I reminded me that sometimes our lights are dim, and that sometimes we’re facing things that seek to slow us down. It reminds me that we can’t let that happen, and that when we do (which we do at times), we’ve got to recharge, warm back up, and try again. 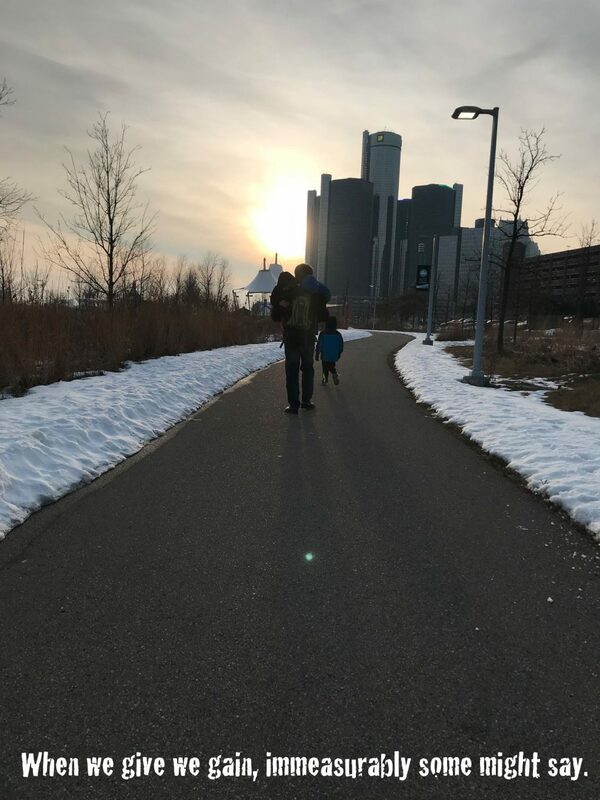 My kids, standing in the freezing cold on new year’s eve, through chapped lips and bitterly cold cheeks, shining their lights on others in an effort to help them heal, reminded me that we’re so very much in this together. It reminded me that if we want this world to be a better, more loving, more sincerely kind, and a more restorative place with each passing moment we must stand together, willingly leaned into and even swept away by the positive energy flow binding us all in compassionate oneness. It reminded me that so many of us do. I’m so very grateful that Lorelei found and provided this opportunity for our family and our kids last night. It was a wonderful way to usher in this new year. A task. So here we go, into the next moments, days, months, and years. 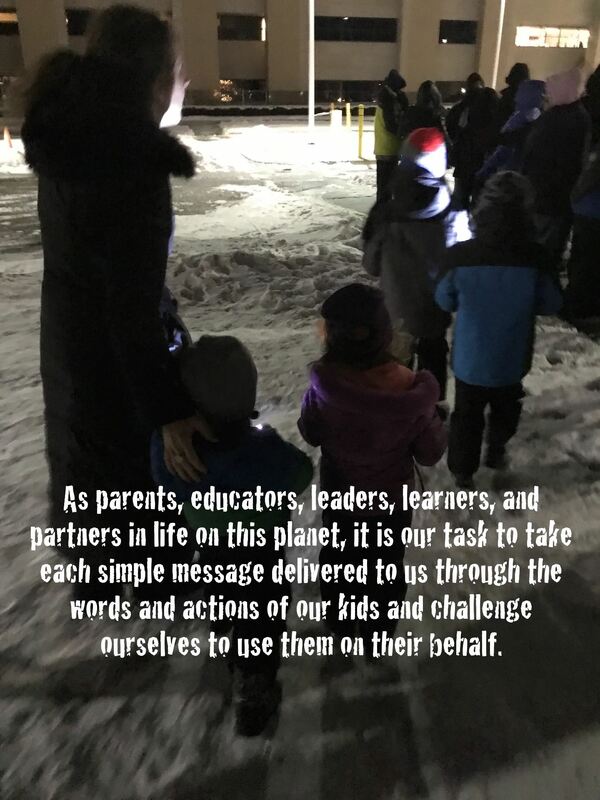 As parents, educators, leaders, learners, and partners in life on this planet, it is our task to take each simple message delivered to us through the words and actions of our kids and challenge ourselves to use them on their behalf. I recently heard someone say that we do not inherit the earth from our parents, but rather, we borrow it from our children. That makes sense to me. Our task is to hand it off in better shape than when we borrowed it. Let’s show up and shine, every day, in every moment, and even when it’s tough. Let’s show up and shine.